Refrigerators are the keystone of any kitchen and most people would be hard pressed to imagine life without their fridge working properly. So when your fridge breaks down you probably want to get it fixed ASAP, not later in the week. If you’re in Toronto or Calgary, you can count on SOS Appliance Repairs to be there quickly and get your home back in order again, we work evenings and weekends to ensure you don’t need to wait long. 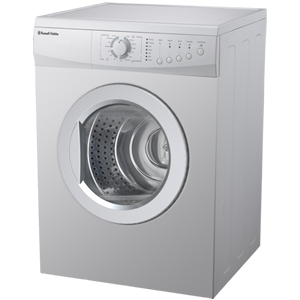 Dryers are a staple in most homes and the whirring noises they make while running can be a comforting sound. When dryers break down some resourceful individuals might have a line to hang clothes on in a pinch but that isn’t normally a long term solution. You can count on the professionals at SOS Appliance Repair to have your dryer back up and running again quickly, we work not only during the evening but also on weekends and holidays. Why use SOS Appliance Repair in Toronto? 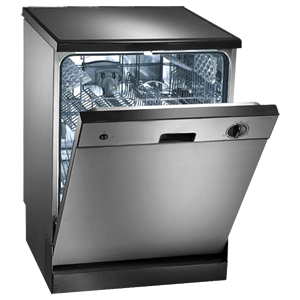 Appliance repair should be done by highly trained professionals. When an appliance in your home stopped working, you want to call people that you can trust. People who will do the job right the first time. If you are looking for the Best Appliance Repair Company in Toronto Downtown & GTA, Just contact SOS Appliance Repair, We service all cities in Toronto & the GTA, however, we have partnered with several smaller local companies to help serve you better. If you are located in Oakville, visit Oakville Appliance Repair, Oakville Appliance Services and Oakville Appliance Repair Services for your emergency appliance repair services. For those located in Richmond Hill, visit our partners at Mississauga Appliance Repair , Richmond Hill Appliance Repair. Feel free to visit the websites of our affiliates as well in: Vaughan Appliance Repair, Markham Appliance Repair, Etobicoke Appliance repair, Toronto Appliance Repais. For all High End Appliances like: Viking Appliances, Wolf Stoves and Ovens, Sub-Zero Fridges and Freezer Repairs, Bosch Appliances, JennAir Fridges, Miele Appliances and Thermador appliance repairs just visit VIKING Premium Appliance Repairs. We repair all types of household appliances, including refrigerator repairs, freezer repairs, washer repairs, dryer repairs, dishwasher repairs, furnace repairs, stoves repairs and more; servicing all makes and models. 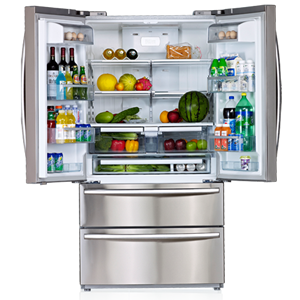 Refrigerators come in different shapes and sizes and we service them all: side-by-side or French-door fridges, fridges with bottom-drawer freezer, fridges with ice-makers and water-dispensers, or classic fridges with the top-door freezer. Whether your fridge is no freezer or all freezer, we service it. We also do commercial and restaurant fridge repair, and we’ll send specialized technicians to do the job well for you. We do Sub-Zero, JennAir, Kenmore, GE, Whirlpool, Samsung, Lg Refrigerator Repair, Kitchen Aid, Bosch, Frigidaire, Maytag, Amana, Thermador and Viking Fridge Repair and Freezer Repairs in Toronto And GTA. Whether you’re having problems with electric elements or gas burners, we will fix it. Other issues include broken glass stove tops or oven door windows, faulty control pads or broken ovens, among others. So let us know what your problem is, and we’ll be on our way. We also do commercial and restaurant Stove repair, Gas Range Repair and we’ll send specialized technicians to do the job well for you. We do Kenmore, KitchenAid, Frigidaire, Whirlpool, GE, Jenn-Air, Maytag, Samsung, Electrolux, , Amana, LG, Kenmore, KitchenAid, Electrolux, Thermador, Moffat, Magic Chef Gas Stove, Gas Oven Repair and Gas Range Repairs in Toronto & GTA. We service Home and Commercial appliances from all major brands such as Dyson, hoover, Kenmore, Panasonic, Samsung, Kirby, Frigidaire, Eureka , Electrolux, Eurodib, Subzero, Manitowoc, American Range, Bakers Pride, Frymaster, Garland, Southbend, Viking, Turbochef, Vulcan Hart Our technicians service most of GTA areas such as: Ajax, Aurora, Brampton, Burlington, Etobicoke, Hamilton, Kingston, Maple, Markham, Milton, Mississauga, Newmarket, Niagara Falls, North York, Oakville, Oshawa, Pickering, Richmond Hill, Scarborough, Toronto, Woodbridge, Vaughan, Whitby. Appliance Repair Toronto - Fridge Repair, Stove Repair Services | SOS	Overall rating:	5	out of 5 based on 11	reviews.